Q: What tools do you use to map out content strategy plans? Specifically, do you have a tool you recommend using when brainstorming content? I am working on building a content calendar and am not afraid of the time commitment it takes to do this, but I feel like I’m making it too complicated. I have Boards/Cards in Trello and a paper calendar. I am trying to coordinate three ‘businesses’ – my yoga teaching (classes AND workshops) with my essential oils business while also being mindful of the corporate gig that is currently paying the bills. Yoga and oils can generate better leads when tying into things like solstice, full moon, holidays, etc. But everyone is doing activities and posts at those times – so trying to get all of that on the calendar so that I can find ways to authentically stand apart from the crowd. I know you are familiar with both of these industries so feel free to tell me if I am overthinking it. A: Your questions prompts another question. What platform are you using to house and distribute content? It sounds like you are on the right path. When I initially map out a Content Strategy Plan, I think about the BIG picture vision for each product/service and then create the main theme from there (to reverse engineer into sales goals and action-oriented results). I then chunk things down into quarterly themes, monthly themes and weekly themes (I use giant flip charts, whiteboards and create a master Word document -others prefer Excell ). As you know, you’ll need a separate plan, strategy and message for each of your target markets. I’ve also invested in a social media scheduling platform to house a vast library of evergreen content that rotates for me on various social media platforms. Drawing from my ad agency experience and the importance of branding and positioning, this has saved my business a minimum of $5000 per year. It does take some upfront planning but saves so much time and effort. I can help map out a 90 day plan in 3 accelerated strategy sessions and clients have received amazing benefits from this service (i.e. $40k on one email campaign promo and reaching a million dollar mark goal within 6 months of implementing — to be fair the client who broke a million was already doing multiple 6 figures, but still– pretty impressive). This blog post about Content Strategy Plans might be helpful. Click here to read it. The platform I’m using for content distribution and repurposing is called MeetEdgar. You can click on this link to give Edgar a try (full disclosure, I am an affiliate which means you’ll get $10 off your first invoice and I’ll get a $10 credit). Feel free to post your top planning tips and tools as comment or reply. 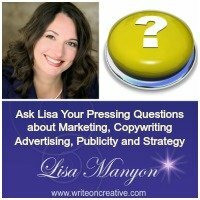 This entry was posted in Ask Lisa	on Monday	January 9, 2019 at 3:22 pm. You can follow any responses to this entry through the RSS2.0 feed. You can also leave a response.